WHEN IT COMES TO MASHING UP THE LISTENER... SHE'S ' ALL UP IN DEH"
This bodacious DANCEHALL QUEEN is taking the globe by storm ever since she dropped her brand new single "UP IN DEH" here at SHYRICK DANCEHALL RADIO. She is looking to be the very first female to earn a seat in the next "GRAND JAM search for Top ARTISTS 2020" by exciting our global listener. And she is well on her way with her rich vocals and massive beat that will get you up on your feet and dancing! 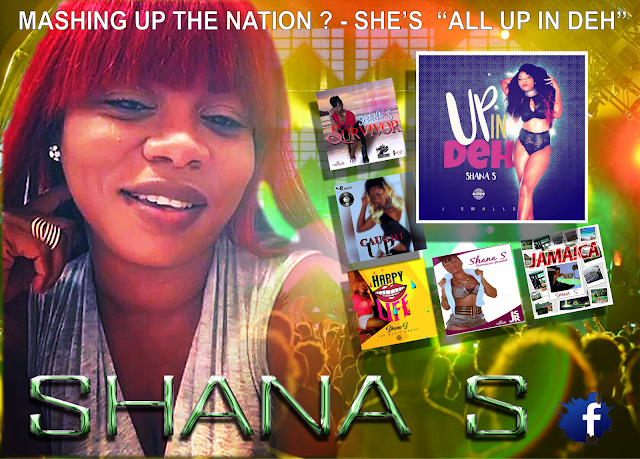 Take a listen to this hot collaboration dropped earlier this year with Kenyan Artist "APPLE FLEVA"
SHAUNA S started raising eyebrows way back in 2004 when she threw down "Nah Back Dung" onto the 'Top Seed' rhythm, which also featured Bounty Killer, Sizzla, Cobra, and Vybz Kartel, to name a few. She also has "YOUR LOVE" which features Sizzla in her music anthology as well.